"A talent too grand to ignore." "Required viewing. A true original." 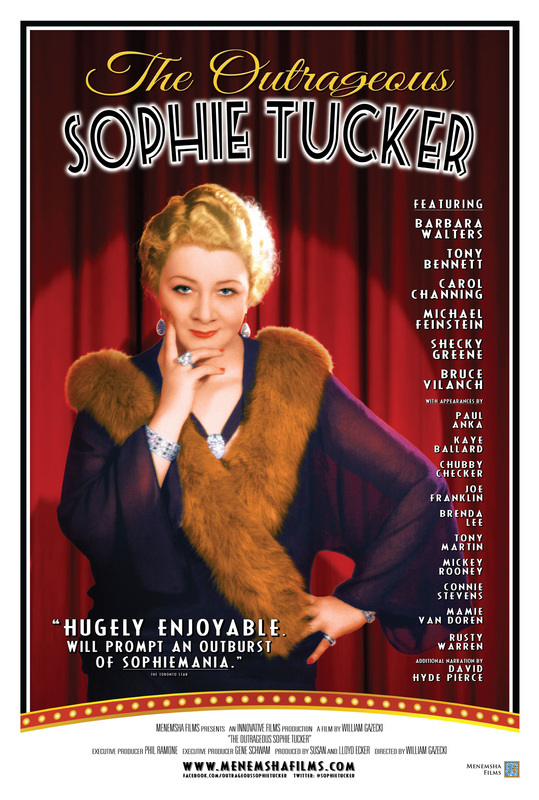 The rags to riches story of Sophie Tucker, the iconic superstar who ruled the worlds of vaudeville, Broadway, radio, television, and Hollywood throughout the 20th century. Before Beyoncé, Lady Gaga, Madonna, Bette Midler, Marilyn Monroe, and Mae West, Sophie Tucker was the first woman to infatuate her audiences with a bold, bawdy and brassy style unlike any other. Using all of "The Last of the Red Hot Mamas" 400-plus recently rediscovered personal scrapbooks, authors Susan and Lloyd Ecker take you on their seven-year journey retracing Tucker's sixty-year career in show business.